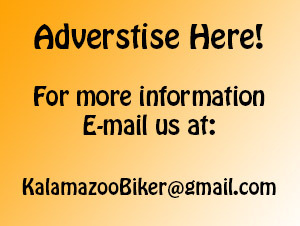 KalamazooBiker.com | West Michigan's #1 source for bikers! Welcome 2015 riding season! I’m adding events and bike nights as soon as I can, but REMEMBER this site doesn’t work if we don’t all pitch in. So, If you see an event or bike night not listed or information that needs to be changed, PLEASE let me know! Thanks for building a really good site ! Thanks , I’ll add the ride do you have a flyer you’d like attached? THANKS! Is there an event flier or web page? How about updating your site? It’s 2017 now!